What better way to explore a neighborhood's culinary offerings than with a self guided tasting tour? 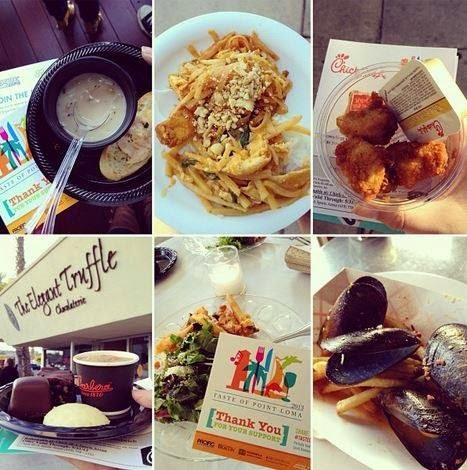 On Wednesday, April 22, from 5:30-9pm, more than 20 restaurants, cafes and bakeries will offer samples of their finest and most popular menu items at the 26th Annual Taste of Point Loma, hosted by the Peninsula Chamber of Commerce. New to this year’s event will be food and beverage pairings and dog-friendly offerings at participating restaurants. 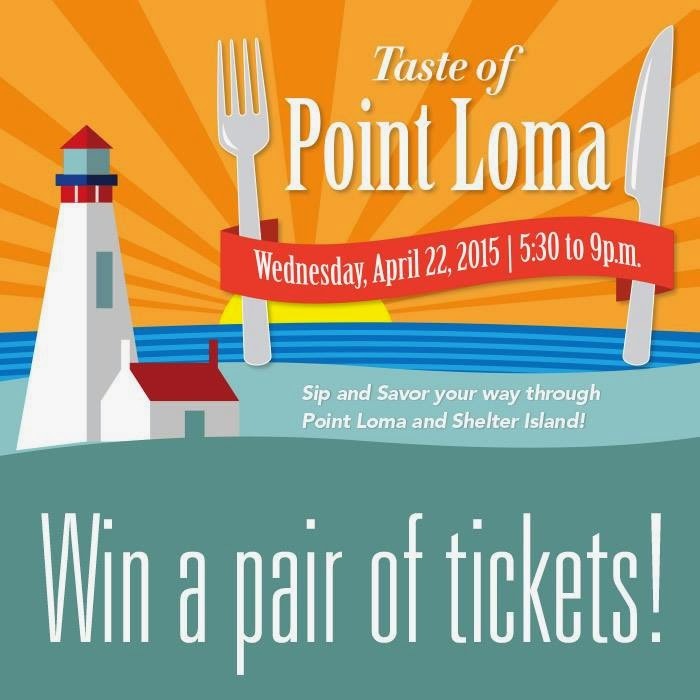 We are giving away 2 tickets to this year's Taste of Point Loma, so be sure to enter! “This is the largest response we’ve seen from Point Loma eateries. We added new event highlights that upped the ante, and the excitement and response from restaurant owners has been tremendous," said Matt Kalla, president of the Peninsula Chamber of Commerce. "Whether you are a seafood lover, want to satisfy your sweet tooth or enjoy food and beverage pairings, you will find what you're looking for at the Taste of Point Loma." Participating restaurants include Bali Hai, The Wine Pub, Blue Wave Bar & Grill, Brigantine Seafood & Oyster Bar, EAT at The Pearl, Sweetaly Bakery, Miguel’s Cocina, Quarterdeck Restaurant & Bar, Vessel Restaurant at Kona Kai, Fiddler’s Green Restaurant, Old Venice Restaurant, Red Sails Inn, The Elegant Truffle, Mitch’s Seafood, Point Break Café, Umi Sushi, Northside Shack, Pomodoro Restaurant Italiano, Supannee House of Thai, The Keyhole Café, Westy’s Antiques & Tavern and The Living Room Coffeehouse & Bistro. For an additional fee, participating restaurants will provide attendees with the option to purchase a drink that complements the restaurant’s food sample. Another new feature this year is the addition of dog-friendly restaurants. “The Taste of Point Loma has been an excellent event for The Wine Pub to participate in over the years. It brings new customers to the area to see what a gem Point Loma is. I’m really excited to add the dog-friendly aspect of it along with the pairings, two things we love at The Wine Pub,” said Sandy Hanshaw, owner of The Wine Pub. Shuttle services will be available to attendees throughout the night. In addition, a discounted ticket will be offered to anyone going by bike. Proceeds from the event will benefit the Peninsula Chamber of Commerce and the Point Loma Association beautification programs. For one ticket price, attendees will be able to taste the best that San Diego’s Point Loma Peninsula has to offer. Tickets are $25 or $15 for students, active military and cyclists, and can be purchased online at tasteofpointloma.brownpapertickets.com, at The Wine Pub, Brigantine in Point Loma or Matt Kalla’s State Farm office located at 4148 Voltaire Street. For more information, visit peninsulachamber.com.